Sometimes as Christians I think we get it a little backward. We start out on a journey to get to know God and then somewhere along the way we get off track. I’ve been so far off track in my journey at times, when I looked around wondered how did I even get here? One way to describe my detoured journey as a Christian is to take a peek into the mind of a dyslexic. I’ve shared in the past of our daughter’s journey with dyslexia. In her tutoring sessions, I’ve learned a lot of how dyslexic mind works. A dyslexic’s mind flips around and substitutes letters in words. They have an inability to interpret text, discern phonemes and distinct sounds represented by certain letters. Teaching a dyslexic how to read can be a difficult task. English in itself doesn’t make sense, for example, words like laugh, cough and tough. The average American is taught these words make an ‘f’ sound. When sounded out they are pronounced coff, laff, and tuff. We are taught, just ‘memorize’ these words make these sounds, just accept it. A dyslexic looks at these words and says this is a bunch tomfoolery, show me where the ‘f’ is, this is a nonsense word. As Christians, we do the same in our own spiritual lives. We are taught something our whole lives and just accept it as true and never question if what was taught was actually true. Over time we’ve substituted and exchanged what we’ve been taught with our own formed beliefs without ever opening up the Bible to see for ourselves. Judgment- Dyslexics also have the inability to determine the difference between words such as live and live–same word different pronunciation. Without putting these words into a sentence, the context of their meaning is lost. The same way dyslexics interpret text, we do the same, as Christians. We interpret one piece of the Bible, without putting it into the entire context of God’s purpose. We judge those who sin pointing our finger to tell them ‘the wages of sin is death,’ when we are sinners ourself, leaving out ‘but the gift of God is eternal life in Christ Jesus our Lord’ (Romans 6:23). There is only one judge and that is God. Love- Ironically love in the English language is an exception word, meaning when a word has a silent ‘e’ the ‘e’ makes the vowel long like in the word cōve. Love is pronounced ‘luv’ making the vowel short, not following the silent ‘e’ rule. Love is not an exception, it’s our existence. Love may not follow all the rules but it’s our purpose. God is the creator of love. Love is God. “Anyone who does not love does not know God, because God is love” (1 John 4:8). Love has become distorted, less about relationships more about stuff. Our world has distorted what love is veering far from God’s design, seeking to fulfill love in places where love will never be found. A life without love isn’t living life at all. If love was about being fulfilled with everything in this world, there would have been no point in sending Jesus. English is a language that has exceptions and doesn’t follow the rules. When teaching my daughter to read I have to explain to her words ending with ‘k’ and ‘ck’ make a ‘k’ sound except for the word stomach–another exception word. But that’s just it, there’s always going to be an ever-evolving world that asks us to make an exception. That asks us to compromise our beliefs. 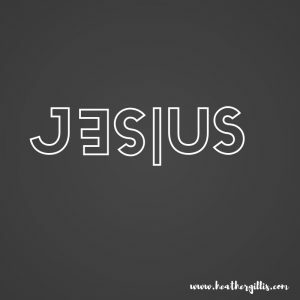 That asks us to take the JES out of JESUS and just leave the US part, making it about US. So how do we break out of the dyslexia pattern? By being equipped with God’s truth. By staying in His Word in prayer. The more we educate ourselves and spend time with God’s words the better able we can decipher what’s backward and what’s not. Even the godliest people don’t get it right. We can be encouraged, we might not always get it right, but God makes up for our shortcomings. He will set our paths straight when we trust in Him. Have you ever had a case of Christian Dyslexia? If we believe in God then why do we need to go to church? Sunday at church the question was asked, “Why do we need to go to church?” It is a very common response for others to say, I don’t need to go to church to experience Jesus or have a relationship with God. This is true so it can be difficult to answer. We were all asked freely what was our own personal reason for being there that day in church? How profound this statement was to me. Just as a Christian goes to church. Of course not. A person can absolutely have a personal relationship with God without going to church. But how full is their tank and how far have they gone in their relationship with the Lord? Our personal relationship with God can be like the car that sits in the garage with an empty tank, collecting dust and forming rust. How far can we go if we are not filled up? Our tanks will never be filled just by sitting there. Church is a way to connect, re-energize, refocus, worship and build relationships. Is it the building? The choir? The pastor? The church is the people. Not the building, not the things in it, but the people in it. The building is just a building and means nothing without the pastor, the choir, or the people. Right before we came to Alaska, our church had the unfortunate experience of being victim to a horrible storm that caused a flood. The waters rose so fast and became so powerful they pushed opened the doors of the church. Water came gushing into the sanctuary filling the entire room. All the seats we sat in every Sunday became submerged in water. It was the most unbelievable sight. When the rain stopped the water then had a chance to recede and drain. When this flood happened it was an eye-opening experience because at first I was saddened the flood ruined the church where we worshipped the Lord. When the storm left, in came the people to help in any way to rebuild and restore what was damaged. This experience made me realize more than ever, a storm can take away the building but it can’t take away where we worship the Lord. Where we worship is the church. The church is the people. As the sermon went on that day the pastor stated statistics of why people don’t attend church. So it challenged me to think how do we answer the question, “Why do we need to go to church?” It makes me question, Are we the people who are in the church doing something wrong or are the people attending not fully, wholly giving themselves completely? “Just as a body, though one, has many parts, but all its many parts form one body, so it is with Christ.”(1 Corinthians 12:12). I think the blame game can be played here. But in reality, there is no perfect church or person for that matter. There will always be variables at play. I believe we do need the church and the church needs us. That is how the beautiful message of the gospel is spread. That is how the body of Christ functions and we become the hands and feet of Jesus. A body works much better when it has all of its parts. People who go to Alcoholics Anonymous go to keep them accountable. Without accountability what kind of relationship can be built? Church keeps us accountable. It is important to keep coming together and be the church. Nothing happens when the car is sitting in the garage with an empty tank. God’s word isn’t meant to stay on the pages of our Bibles, but to be alive and living within us. His words, His truth, fill us with all we need and more than we can imagine. His words will sustain and maintain us in this life and for all eternity. Keep filling up your tank and see how far you go. Have you given up going to church? 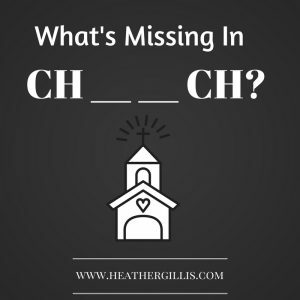 Are you missing from church? How does church fill you up? 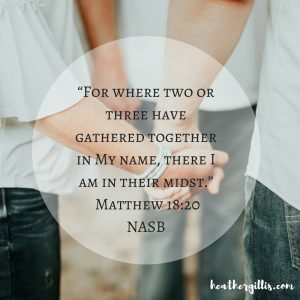 http://www.heathergillis.com/wp-content/uploads/2017/04/Church.jpg 800 800 Heather Gillis http://www.heathergillis.com/wp-content/uploads/2018/11/heather-gillis-logo.png Heather Gillis2018-07-27 01:00:052018-06-03 06:31:27Why Do We Need To Go To Church Anyway? Summer is here. The sun is shining, kids are out of school, days are filled with relaxing, activities and hopefully vacations. I love the things we learn from our seasons and vacations we go on. There’s indigenous wildlife and landscapes we discover in the places we go. One bird indigenous to Alaska I will never forget is the raven. These birds live in parking lots and attack trash cans, devouring any food left on the ground. They live up to their name because they are ravenous scavengers that will eat anything. I’ve always wondered why these birds choose to stay during Alaskan winters. If I were a bird I would definitely use the wings God had gave me to fly to warmer temperatures. Even though ravens don’t migrate when the weather gets cold, I don’t think these Alaskan ravens could fly very far even if they had to. They are self-indulgent glutinous birds way too fat to fly anywhere. I have never seen ravens this big ever in my life. These birds may be sleek and shiny on the outside, but their selfish desires hold them captive in the tundra weather as a result. These Ravens remind me of the Pharisees in the Bible. The Pharisees had a tradition to engage in ceremonial washing of their body before eating, so nothing dirty would enter their bodies. However Jesus was pointing out, the Pharisees were missing the point. What was the point of physically cleaning the outside of their bodies if their hearts were filled with greed and self-indulgence? The Pharisees thought they were perfect because they followed the traditions of men. They were more concerned with keeping the tradition of ceremonial washings then keeping their hearts clean with the righteousness of God. How true is this for our lives? Am I like the Pharisee trying to maintain perfection on the outside but really full of un-righteousness on the inside? 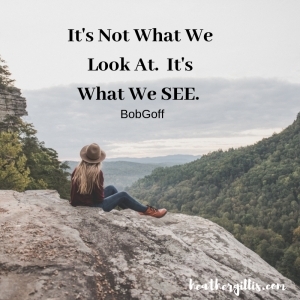 I have been guilty of trying to maintain the facade that everything is perfect in my life on the outside by keeping a clean house, car, a perfectly manicured yard, obedient kids, a successful husband the list goes on. Maybe you can relate? Have you tried to find value and worth through your circumstances like me? Have you tried to seek righteousness in your own works? Truth is I can have everything perfect and neatly organized on the outside but really am falling apart on the inside. Where is the hope or freedom in my failures? Is success in life really measured by my performance and how perfect I look from the outside? There will be times my achievements fail. Times I don’t always get it right. There will always be another room to clean in my house. There will always be a child’s behavior to correct. There may be times my husband and I don’t get along. There will always be that certain something that doesn’t go as planned. Does that mean I only receive hope if my circumstances are going well in my life? I am not perfect. But I am made perfect in God. Through God’s eyes even when I fall short, He sees me as his perfect workmanship and makes up for my shortcomings (Romans 3:23). He created and designed all of us with a purpose that is greater than our next performance. God cares more about the condition of our hearts than how clean our houses are. His desire is for us to love him with all of our heart, all of our soul and all of our minds” (Matthew 22:37). Jesus tells the Pharisees, “First clean the inside of the cup and dish, and then the outside also will be clean” Matthew 23:26. He was trying to teach them you will always be held captive by selfish desires and trying to maintain perfectionism. We will always be set free in God’s truth and love for us. When I seek God for my righteousness and desires of my heart he shows me “I am fearfully and wonderfully made. Wonderful are your works; our souls knows it very well (Psalm 139:14). Righteousness does not come from ourselves or in anything we do, but from God himself. “…not having a righteousness of my own that comes from the law, but that which comes through faith in Christ, the righteousness from God that depends on faith—“ (Philippians 3:9). Our hearts will always find peace in His presence and freedom in His truth. The next time there are a pile of dishes in your sink, say to yourself, “Bless this mess, because I am made perfect in God!” Thankfully God cares more of how clean my heart is than my sink! Have you ever met someone and thought wow they have it all together, to only find out they are shattered and broken on the inside? You never know what someone is going through. Just because their life seems perfect on the inside doesn’t mean it’s true. Thankfully we have all been saved by his grace. His grace and purpose are always greater. 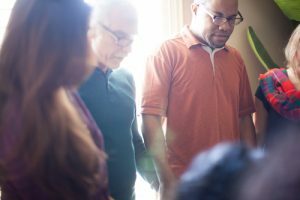 Can you relate to the Pharisees? Do you allow circumstances to enslave you and determine your happiness? 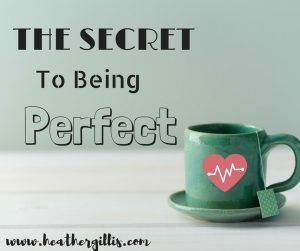 Have you been victim to performance and perfectionism? How has God’s truth set you free? Our circumstances will always change. God’s truth is eternal and everlasting! There is hope when we seek our truth and identity in God. You are perfectly perfect in who God says you are. He created you and never makes mistakes. You are perfect! Have you ever believed something your whole life and wondered, do I believe what I believe because I believe it or because that is what I’ve been told my whole life? That is the very question I asked myself when I went away to college and was away from my family for the very first time. I had been a Christian my entire life, but my faith was put to the test when I left home. This was the point in my life was I going to put into practice everything I learned or go along with what the world says I should do? As time went by I found out real fast going along with what the world said I should do got me into trouble. 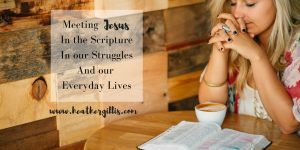 I became more distant from God and wondered why was my life such a mess? I reflect back upon this time in my life when God was so patient and merciful with me. I can see now how naive I was. In my aimless wandering I became lackadaisical and blind to the realities right in front of me. I came to my senses and realized doing life on my own, without God wasn’t how God designed me. I started getting back into what I had grown up doing, going to church, praying and periodically reading the Bible. I would have said I was a Christian, but somewhere along the way, my Christianity became more of a routine than it was a relationship with God. Something became lost along the way. I thought by asking Jesus to be my Lord and Savior was all I needed to do to maintain a relationship with Him. How wrong I was. 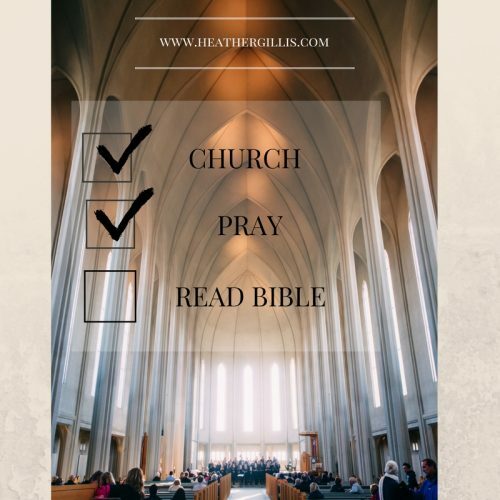 I thought by checking off my boxes of going to church, praying and reading my Bible would make me right with God. What I discovered along the way, was God cared more about the condition of my heart than me externally conforming to His laws. God reminded me, I was just like the Pharisees in the Bible. The Pharisees were members of an ancient Jewish sect. They strictly observed the traditions and written laws thinking this made them self-righteous, above everyone else. They thought what made them right with God was living by legalism and keeping the written laws by men. In reality, the Pharisees were hypocrites. They honored God with their lips and not their hearts (Mark 7:6). Wow, Is that how I was living my life, by only honoring God with my lips and not my heart? The hard answer was, Yes. God desired all of my heart, not to just do what’s right and conform to his laws. He cares about the condition of our hearts, and I realized I was just going through the motions with a distant heart. Obeying God’s laws with a distant heart is like a puppet master controlling his puppet. God doesn’t want to control us like puppets, he wants all of our hearts and desires a relationship with us. The Pharisees believed God’s grace only extended to those who kept his law (Mark 2:16). They didn’t understand why Jesus talked and ate with tax collectors who were considered sinners. Jesus was teaching them there was not a place where God’s grace can’t reach—we are to love sinners, but not the sin. “You have let go of the commands of God and are holding on to the traditions of men” (Mark 7:8). The Pharisees were holding on to the traditions of the elders telling them not to associate with ‘unclean’ men who were sinners. Jesus was telling them, God’s commands in the Bible have more authority than traditions of men. 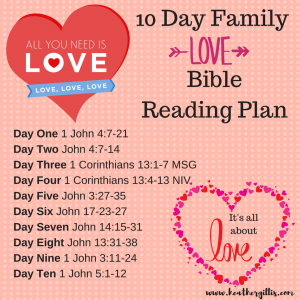 God’s commands (His love) accept and love everyone, not discriminate and condemn. 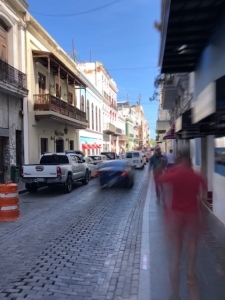 When I was busy checking off the boxes, living by legalism, I realized there was always going to be another box to check, another rule to follow, or another good deed to accomplish, when was it ever enough to please God? 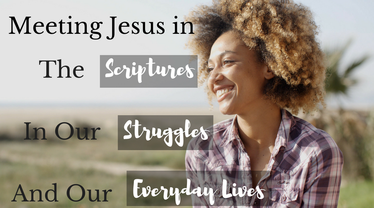 Living a legalistic life puts the trust in ourselves and not what Jesus did for us. When I was living by legalism, I was putting the hope of salvation upon myself taking God out of the equation. Following all of those rules wasn’t going to get me to heaven—putting my trust and faith in God was. In God’s love, we can be set free from checking the boxes. There will always be another box to check. The promise of salvation will never come from following a bunch of rules (Galatians 2:21). We are already worthy in God’s eyes don’t have to earn or prove our worth by performing more. If we weren’t worthy, God would have never sent Jesus in the first place. We receive the righteousness of God through our faith in him. I realized we become righteous through our faith in Christ, not by anything we do on our own (Philippians 3:9 NLT). Our good works and abiding in God’s commands is a result of His righteousness overflowing from within us—not something we do ourselves. When I was living by legalism, I was missing out on the beautiful message of the gospel. God’s love transforms hearts and lives. His love is a free gift in which He offers to everyone. No amount of good works could ever repay Jesus for what he has done for us already. So take the advice from a recovered box checker, you never have to check another box off again when God’s love is living in your heart. Accepting Jesus as my Lord and Savior is the key to my salvation and allowing God to have all my heart is the key to transforming hearts and lives. 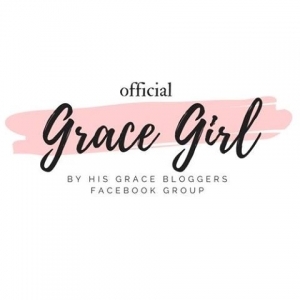 Did you enjoy this blog post? Please share with others! 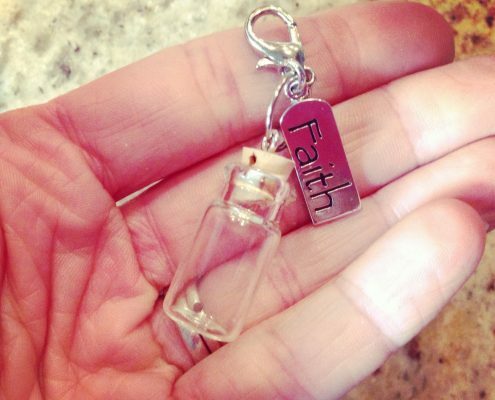 Want more encouraging messages sent right to your inbox? Subscribe to my blog and receive a weekly Monday Message or like my Author Facebook page to catch the latest posts. I would love to hear from you! I would love to hear from you. Leave your comments below!